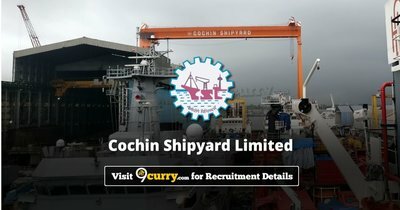 Cochin Shipyard Limited Result 2019: Below are the latest results published by Cochin Shipyard Limited - Cochin Shipyard Limited / www.cochinshipyard.com. The recent result announced by the organization is Pharmacist Result 2019. Cochin Shipyard Limited Pharmacist Result 2019: Cochin Shipyard Limited has announced the Result on 04 Apr 2019 for Pharmacist Interview 2019 which was conducted on 18 Jan 2019. Cochin Shipyard Limited Executive Trainee Result 2018: Cochin Shipyard Limited has announced the Result on 10 Oct 2018 for the exam . 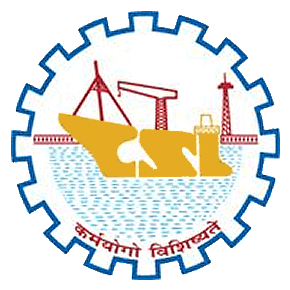 Cochin Shipyard Workmen on contract basis against additional posts Result 2017: Cochin Shipyard has announced the Result on 02 Jan 2018 for the exam . Workmen Exam Result 2017: Cochin Shipyard has announced the Result on 29 Nov 2017 for the exam which was conducted from 21 Sep 2017 to 28 Sep 2017. Fireman and Safety Assistant Result 2017: Cochin Shipyard has announced the Result on 28 Nov 2017 for the exam which was conducted from 01 Nov 2017 to 04 Nov 2017. Cochin Shipyard has announced the Result on 22 Aug 2017 for the exam which was conducted from 27 Jul 2017 to 28 Jul 2017.